The images within this section are contributed by our members, and show a bit of the fun side of our community. Images here are more light-hearted and personal than what would normally be found within a member's porfolio page. So explore this section, and please please please don't take yourself too seriously all the time. It isn't healthy. 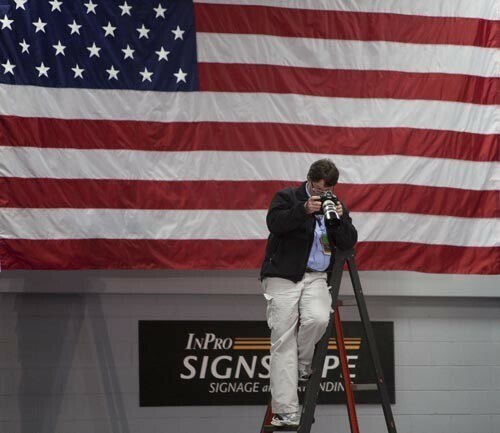 Caption: Sports Shooter Mark Hoffman chimps while a top a ladder as he covers a campaign stop by GOP hopeful Mitt Romney Saturday, March 31, 2012, in Muskego, Wis.